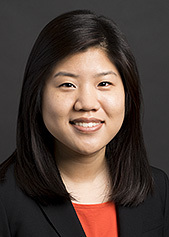 Hyungjoo Han practices in the Corporate Litigation Group in Cadwalader's New York office. Hyungjoo graduated with a B.A. from Northwestern University and earned her J.D. from the University of Pennsylvania Law School. University of Pennsylvania Law School - J.D.